Why Did They Tear Down That Wall? 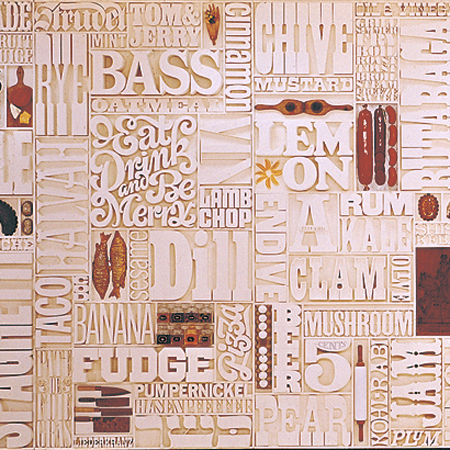 When I was in high school, I was asked to design a mural for the cafeteria wall. Of course, I had no idea how to do that and ended up making a 1970s supergraphic of a series of fat horizontal stripes and an abstraction of a seagull flying above. There are small miracles; nobody documented it. 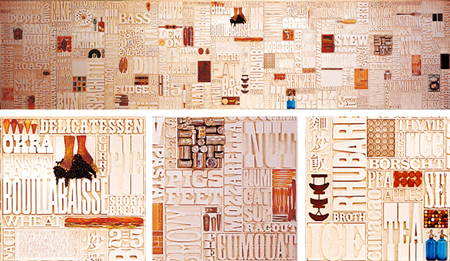 The next year was my first year at art school, and I discovered the Gastrotypographicalassemblage. 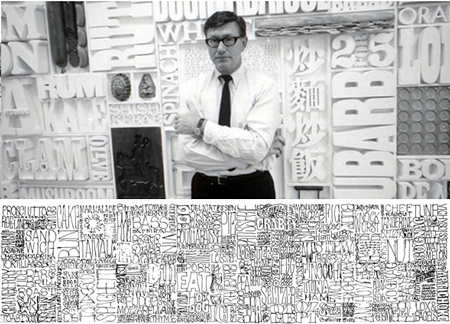 This was Lou Dorfsman’s version of my high school cafeteria mural, minus the Airport ’77 supergraphics. 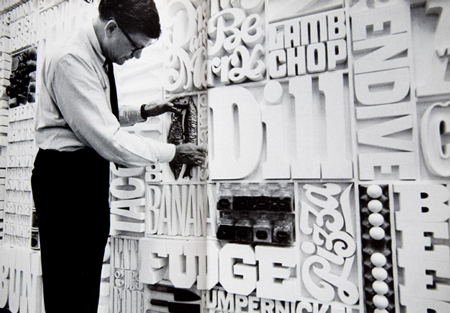 The wall is a wonderful collection of 3-dimensional letterforms created by Lou Dorfsman, Tom Carnase, and Herb Lubalin in the mid-1960s for CBS. The result is a wood-type shop exploding next to supermarket. Sadly, the wall was demoslished in the 1980s and now sits in storage, awaiting rescue. I can only hope that my wall was painted over by another artist in residence after I left high school.